People living with consistent back pain know just how limiting it is to everyday life. If you have lower back pain from an accident or repetitive injury, trouble sleeping or sitting, or a prior lumbar fusion, the Sacroiliac Joint may be lower back pain’s missing piece. Join Chatham Orthopaedic Associates and SI-BONE for a free seminar on the diagnosis and treatment for some causes of SI joint dysfunction on Wednesday, April 18th from 6:30-7:30pm. 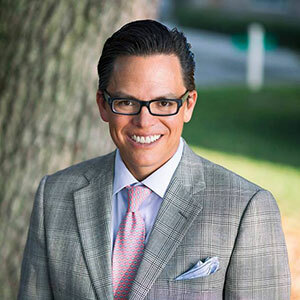 Chatham Orthopaedics’ very own Raphael R. Roybal, M.D., of The Spine Institute will be hosting the seminar at Effingham Orthopaedics located at 613 Towne Park Drive West, Suite 303-304, Rincon GA 31326. Light refreshments will be served. Spaces are limited, so reserve your seat by Tuesday, April 17th by calling (912) 200-7165 or online at https://si-bone.com/patients/patient-seminars/dr.-raphael-roybal-md-orthopedic-surgeon. Click here to learn more about Sacroiliac Joint Dysfunction and the treatment options that Chatham Orthopaedics offers.